Great "Ending" for Gideon and Eva! “CROSSFIRE” One word, two meanings. Gideon uses this word to mean more than love. Eva uses it to say no. I’m using this word for both. Crossfire, my heart is hurting. I can’t breathe. That was my feelings for the last twenty-five percent of the book. I cried through two whole chapters. That says a lot because the chapters are very long. Crossfire, oh how I loved Gideon Cross. This man has changed and developed over this series and it was absolutely perfect. 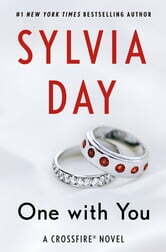 Sylvia Day wrote this book as if it was a standalone. It felt like I was reading a brand new series. After four years and five books, she transformed and developed these characters how I feel they should have been. You see the growth in Gideon and Eva. You feel the need to have each other and the undying love that they share. This book did not feel final for me. I feel like it was left open ended and almost on purpose. Could there be another one coming? I’m not sure my heart can take that. If this is truly the end, I think that it fell a little flat for me. I guess after all of this time I expected fireworks and heated passion. What I got was a walk in the park on a sunny day. I would definitely recommend reading this book to all Crossfire Series Fans. You want to see Gideon now, you really do. You’ll fall even harder for the man that he’s become. 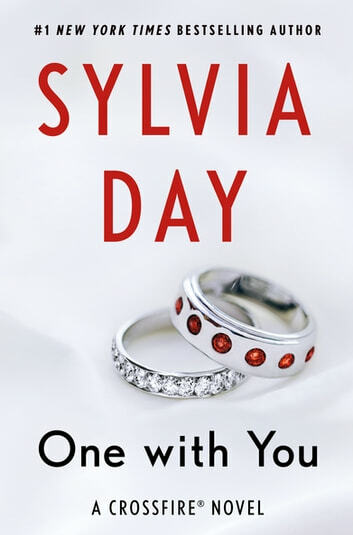 Thank you Sylvia Day for bringing Gideon Cross into my life! Sylvia Day... This series will remain as one of my favourite book series. Eva and Gideon feels like family and are in my heart. One with you was the perfect way to end the tumultuous love story of two tortured but beautiful souls. As many times as I've reread the previous 4 books, now I can finally start book 1 again and read the whole series from start to beautiful finish. Sylvia Day, I salute you. This book answers most of the questions that we all have had over the series of the books. It was great reading the reasons behind what motivated the characters do to what they did and why. That being said I am happy that the series a finally reached an end. I can't believe it is over. I love Gideon and Eva. An alpha male in every since of the word. And a woman that knows who she wants. I guess I will have to just reread it.